ItemG-00786 - Kamloops Hudson's Bay Company post. ItemG-00789 - Side View Of A Chasm, 13 Miles Above Clinton. ItemG-00790 - View of the Great Chasm. ItemG-00791 - Roper's Farm, 62 Miles above Clinton [108 Mile House]. ItemG-00794 - Cottonwood House, ranch. 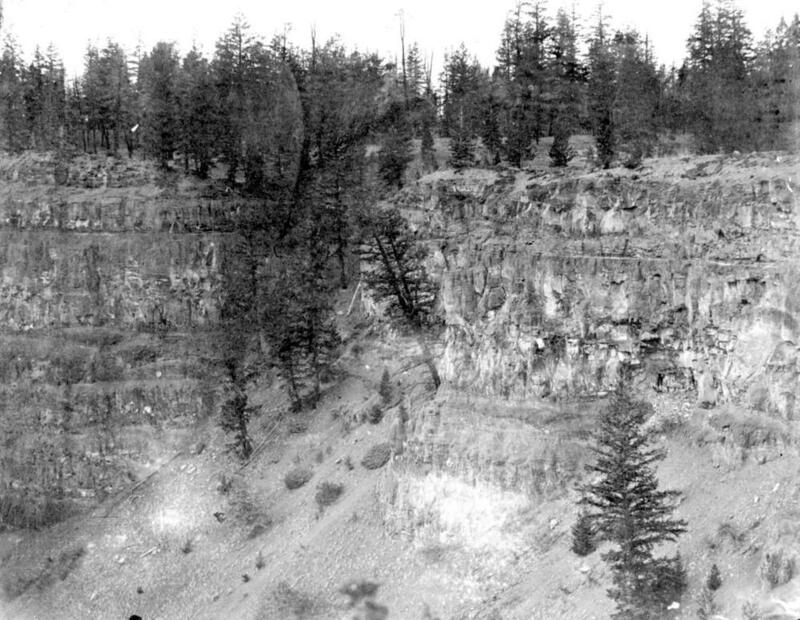 Item G-00789 - Side View Of A Chasm, 13 Miles Above Clinton.